Ajay Thomas is an independent arbitrator and advocate based in New Delhi. 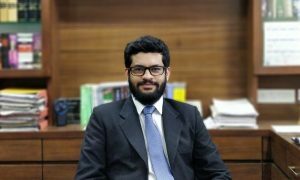 He is also the Vice-Chair of the ICC’s India Arbitration Group.From 2009-2016, he was Director and Registrar with the Indian subsidiary of the London Court of International Arbitration (LCIA), and also a member of the LCIA India Board of Directors.He graduated from the University of Goa (LLB), and did his LLM from the National University of Singapore (NUS) . 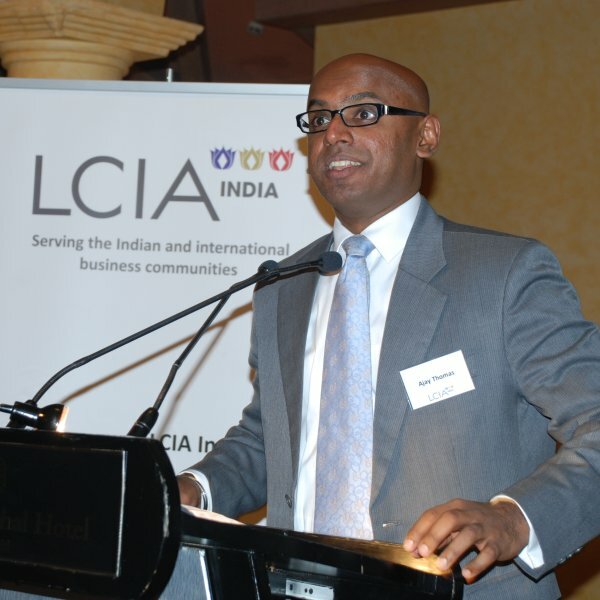 Prior to joining LCIA India, Ajay was Counsel with the Singapore International Arbitration Centre (SIAC). Ajay was also a member of the expert committee constituted by the Law Commission of India to assist in the preparation of its 246th Report (August 2014) on ‘Amendments to the Arbitration and Conciliation Act, 1996’. He is a guest faculty at the Indian Society of International Law (ISIL), New Delhi since 2009, where he teaches international commercial arbitration. Ajay is also Hong Kong 45’s (HK45) Regional Ambassador for India, in addition to serving as the Country Representative for the Asia-Pacific Forum for International Arbitration (AFIA). HOW WOULD YOU LIKE TO INTRODUCE YOURSELF TO OUR READERS? PLEASE TELL US SOMETHING ABOUT YOUR CHILDHOOD AND PRE-COLLEGE LIFE? New Delhi-based independent arbitrator and advocate is what best explains my current professional status. Be that as it may, “a serial institutionaliser” is how many in Indian arbitration circles introduce me to their friends and acquaintances. Perhaps, because of the fact that over the past decade or so, I have had the unique distinction of working at four of the world’s leading arbitral institutions: Singapore International Arbitration Centre (SIAC), Singapore Chamber of Maritime Arbitration (SCMA), London Court of International Arbitration (LCIA), and now the International Chamber of Commerce (ICC) – where I have been appointed Vice Chairperson of the ICC’s India Arbitration Group. And, evangelising the cause of arbitration, especially institutional arbitration, has been a very integral part of my professional life. I was born in a land situated between the latitudes 14°53′54″ N and 15°40′00″ N and longitudes 73°40′33″ E and 74°20′13″ E, a land blessed with sandy beaches, swaying palms, and magniﬁcent churches. My formative years were spent in the sleepy but charming village of Aldona. Life in those simpler times revolved around school (St Thomas Boys, and later St Britto), the playground which you shared with the neighbourhood water buffalos, and home which was conveniently just a hop, skip and jump away. Given my ability to appear at the wrong places at the worst possible times, I had a rather nasty reputation of being a “Jack-in-the box” in primary school, which thankfully evolved to a more respectable “Jack-of-all-trades” in high school. I wasn’t particularly brilliant in studies but was an avid quizzer and excelled in badminton, basketball and the throwing and jumping disciplines on the athletics field. WHAT PROMPTED YOU TO BECOME A LAWYER AND WHEN DID YOU THINK OF A CAREER IN INTERNATIONAL COMMERCIAL ARBITRATION? Post high school, I enrolled for a Bachelors programme in Commerce, followed it up with an LLB from the Salgaocar College of Law, pursuant to which I spent an eventful few years as a greenhorn litigator at the Bombay High Court. I became a lawyer by sheer accident. It was not a conscious well charted journey. Growing up, I was fascinated with being a police officer. Why a police officer? The lure of the khaki, the stars and the Ashoka on your epaulettes, and the bit of idealism left in me that made me think that I could make a difference. When that dream did not materialise, I decided to become a lawyer. But I was clear that I did not want to be a generalist and wanted to find a niche practice area that interested me. 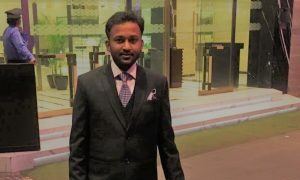 I zeroed in on maritime law, and I was extremely fortunate to be accepted as a junior at the Chambers of Senior Advocate S Venkiteswaran (Venki), regarded by many as the guru of maritime and admiralty laws in India. Again, it was sheer serendipity that led me to a career in international commercial arbitration. 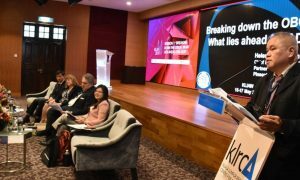 One of the elective courses that I had opted for at the LLM programme at NUS was international commercial arbitration, the teaching for which was led by Adjunct Professor Lawrence Boo, who in those days was the CEO and Deputy Chairman of the SIAC. It so happened that one day during class he mentioned that there was an opening for an India-qualified lawyer at the SIAC and urged the half-dozen Indian lawyers on the course to consider applying for the position. Given the compensation on offer, and the fact that I would be sailing away from maritime law into a totally different arena, I was initially quite hesitant. To cut a long story short, I finally applied and was offered the position subject to me successfully completing my LLM coursework requirements. The SIAC position was effectively my gateway to international commercial arbitration. YOU HAVE DONE POSTGRADUATE DIPLOMA COURSES IN ‘INTERNATIONAL LAW AND DIPLOMACY’ AND ‘SHIPPING MANAGEMENT’ HOW FAR HAVE THESE COURSES BEEN HELPFUL? My love for ships and the seas, coupled with the desire to specialise in a niche practice area, led me to pursue a “Post Graduate Diploma in Shipping Management”. This held me in very good stead when I started off practicing maritime law at Venki’s Chambers. The course gave me an excellent overview of the dynamics of the shipping industry, which I believe gave me an edge over my peers. The course in “International Law and Diplomacy” from the Indian Society of International Law (ISIL) helped me in preparing for the combined civil services exams, where I had opted for law as one of my optional subjects. At the end of the course, fortuitously, I discovered that I had topped the course and was awarded a gold medal, which came in very handy in securing an admission to the LLM programme at NUS. Ever since my LLB days, I always wanted to pursue a master’s degree. However, I realised that a couple of years in the profession would make my graduate studies more meaningful and purposeful, and not to mention, more money in the bank to fund my studies. Further, work experience helped me to clarify career objectives and gain invaluable hands-on experience in my area of interest. I do think that it takes a bit more effort for non-NLU students to successfully complete the application formalities. I was probably one of the very few students from my college to have applied for an LLM overseas, and consequently I did not have access to the usual advice and war stories from seniors. YOU PURSUED AN LLM AFTER HAVING SPENT ALMOST FIVE YEARS IN THE PROFESSION, A LITTLE LATE BY INDIAN STANDARDS. WHAT DO YOU THINK AN LLM DEGREE CAN DO FOR YOUR CAREER? An LLM programme in my opinion serves many purposes: for those who have spent some time in the profession, it’s a great way to slow down the pace of life, after the initial rigours and stresses; to look at life from a different perspective; it provides a wonderful opportunity to recharge one’s batteries; and most importantly, it acts as a refresher course to update one’s knowledge and aids in focusing on an area of specialisation. A LLM from a foreign university is always appealing to potential employers as it adds a bit of exoticism to your CV which employers love. The fact that you have studied abroad is also quite helpful when it comes to dealing with international clients. In my opinion, an LLM is a great option to young lawyers in search for a break from the monotony of a very demanding profession. It gives them some time to stop, ponder and take the right decision as to their future as lawyers. In the bargain, one gets to update one’s knowledge base, acquire new skills and get a hold on one’s life and career. WHAT PROMPTED YOU TO CHOOSE THE NATIONAL UNIVERSITY OF SINGAPORE (NUS) FOR YOUR LLM? An extremely distinguished faculty; an ambience replete with academic activity; an LLM programme which blended high quality, intensive course work with research; the numerous opportunities to interact with professionals from the legal profession and the commercial world; the hope that the extremely competitive environment at NUS would bring out the best in me, coupled with the fact that Singapore was rapidly emerging as a maritime and arbitration hub were factors that prompted me to choose NUS. Further, in those good old days, the fees at NUS and the cost of living in Singapore were relatively reasonable, these were additional but important factors that influenced my decision. PLEASE TELL US ABOUT YOUR EXPERIENCE AT NUS? The LLM coursework at NUS was extremely demanding, more so in my case, where I was getting back to academia after a very long time. There were hours spent in the library trying to cope with the numerous assignments, and preparation for next day’s classes; the nervous tension to meet deadlines; and copious amounts of Kopi O and Red Bull that were consumed to keep you going. And, now when I look back, I get the feeling that I strangely enjoyed it all. The facilities at the Faculty of Law at NUS were brilliant and state-of-the- art. Incidentally, the Faculty of Law along with the School of Public Policy had a bit of exclusivity to it, being located on a lovely secluded hill besides the Singapore Botanic Gardens, and miles away from the crowded main Kent Ridge campus. Singapore is also the perfect base to explore the Southeast Asian region. Given the travel bug in me, I took the opportunity of the month-long semester break to explore the region. I spent a few wonderful weeks backpacking through Malaysia, Thailand and Cambodia. It was an amazing journey of discovery! NUS IS WELL RENOWNED FOR ITS BRILLIANT FACULTY. HOW WAS YOUR EXPERIENCE WITH THE FACULTY? The faculty at NUS were a good mix of regional and international, full-time academics as well as adjuncts-who were usually practitioners from Singapore. I had the good fortune to learn from, and interact with, stalwarts such as Lawrence Boo (international commercial arbitration), Stephen Girvin (maritime law), M Sornarajah (international investment arbitration), and Francis Reynolds QC (admiralty law). I also fondly remember Lee Kiat Seng – who made it a point to treat the entire class to hot coffee, steaming paus (Chinese buns) and curry puffs, perhaps, in the hope that we would be more attentive at our early Saturday morning reinsurance class! WHAT WERE YOUR ROLES AND RESPONSIBILITIES AS THE DIRECTOR AND REGISTRAR OF LCIA, INDIA? By way of brief background, LCIA India was the established in 2009 as the first independent subsidiary of the London Court of International Arbitration (LCIA) outside of London. The institution aimed at providing a LCIA quality of case-administration services to Indian parties and also international parties doing business in and through India, at localised rates. 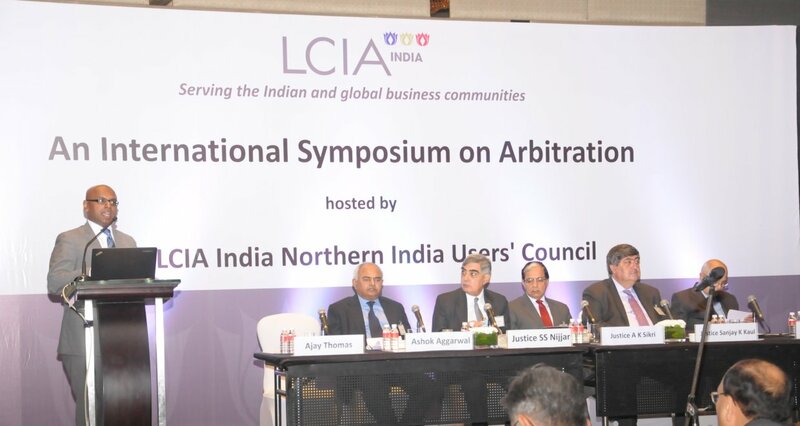 As founding Registrar and Director, I was tasked with establishing the Secretariat in New Delhi, rolling out the India-specific arbitration rules, and popularising the LCIA India arbitration clause amongst end-users – which involved running an extensive and sustained outreach programme, comprising one-on-one meetings, presentations, workshops and conferences. It also fell on me to oversee the administration of cases that came to be referred to LCIA India. Being on the LCIA India Board of Directors gave me a great insight into policy making, strategy and planning. And, given that the institution was established as a private limited company, I also donned the hat of defacto General Counsel, ensuring that LCIA India complied with the laws of the land. I must say that it was truly a privilege to have been given the responsibility to establish and run an arbitral institution at a relatively young age (thirty two), which would not have been possible but for the unwavering support and guidance from Adrian Winstanley OBE and his hardworking colleagues at 70, Fleet Street. WHAT IS THE SKILL-SET REQUIRED FOR A PERSON TO BE A SUCCESSFUL ARBITRATOR? Strictly speaking there are no qualifications prescribed to be an arbitrator. In tune with the principle of party autonomy, disputing parties (to quote Professor Gary Born) have the broad freedom to choose dispute resolution mechanisms (and dispute resolvers) “short of authorising trial by battle or more doubtfully by a panel of three monkeys”. Be that as it may, I had the recent occasion to meet the Professor Martin Hunter, the author of Redfern and Hunter on International Commercial Arbitration. During the course of our pleasant conversation, over Sula and delicious Delhi kebabs, his advice to young lawyers was that one should never in the early stages of his/her career aspire to be an arbitrator, the emphasis should be to immerse oneself in the theory and practice of arbitration, and aim to be garner as much experience as possible as advocate in arbitration. I cannot but agree with Martin that there is nothing like solid work experience to lay the foundations for a future career path as arbitrator. And, whilst one goes about acquiring that broad depth of knowledge and experience, it would be useful to enroll for formal arbitrator accreditation courses such as the Pathways Programme offered by the Chartered Institute of Arbitrators (CIArb). Fellowship of CIArb is one of the minimum qualifications prescribed for formal empanelment as arbitrator with many of the leading international arbitral institutions. WHAT WOULD BE YOUR SUGGESTION FOR STUDENTS AIMING FOR A CAREER IN INTERNATIONAL ARBITRATION? Work hard, work smart, and tune in to the recent updates to the law and practice of arbitration. It is nice to have a plan, but be open to opportunities, which may not always be what you were hoping for. For all you know it, these opportunities might lead you to a new vista that you never knew existed. Finally, it would be extremely helpful to have an earthly mentor to guide you along the way. Bon voyage!